I found one of the most incredible database programs to date for the iPhone. It’s called iDB Datamaster Pro (there’s a free version and a lite version, but I wanted a limitation-free option). It was developed by Evince Technologies, Inc specifically for the iPhone and is not a port or a re-write of another program. It literally replaced half a screenful of other apps on my homepage — and we all know how precious that space is! The layout is good and the templates (which I hope will continue to expand) handle most of what I’ve needed so far. I like the integration with the native apps which permits one-tap phone calls and web site launches from within the databases. 2. The ability to “pause” the database and return to the exact same place next time the app is launched saves taps and frustration. (Small feature, huge impact on usability.) It even has time-stamped logs for locating what was done when. 3. I particularly like the fact that I can backup the databases to my own computer in CSV format — but need to play with this a bit more to learn how to backup and restore effectively. It’s a little more expensive than the standard .99-4.99 apps, coming in at 12.99 for the pro version, but it’s worth every penny, IMHO. I’ll review a few more of my best finds over the next few days, including writer’s tools for the iPhone and (hopefully) a decent replacement for some of the standard apps (like calendar). 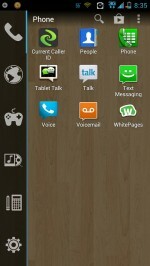 In the meantime, go download the free version of this DB app and give it a try. I think you will like it as much as I do. 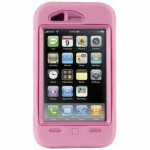 Best Protection: Case for an iPhone — and it’s PINK! One Response to "Information Management: An iPhone App to Crave"